This post contains links to products for which I might receive a small commission. 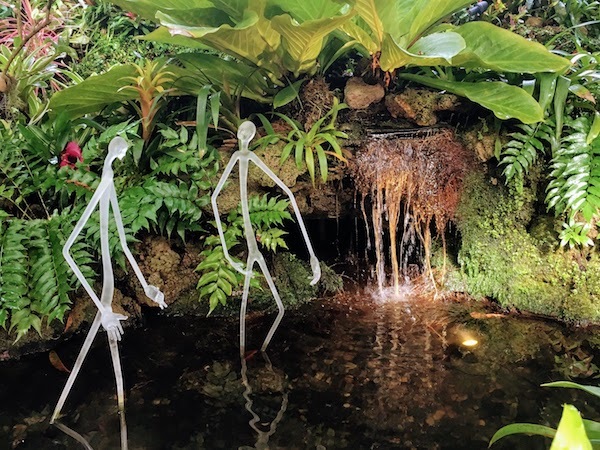 Phipps Conservatory and Botanical Gardens at Schenley Park in Pittsburgh’s Oakland neighborhood (near the University of Pittsburgh and Carnegie Mellon), has been entertaining visitors with world-class gardens since 1893. 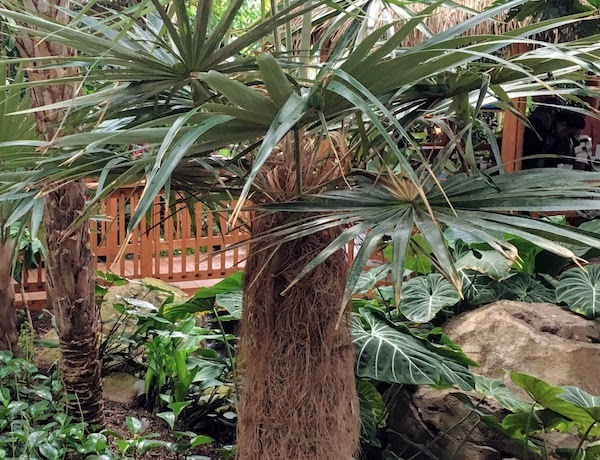 It has expanded through the years, most recently adding the LEED certified Center for Sustainable Landscapes, which add energy efficiency and responsible use of resources to the conservatory’s exciting tropical gardens and other spaces. It takes at least 90 minutes to see all the rooms and gardens at the conservatory, but I encourage you to allow more time. The people at Phipps really focus on the detail in each garden. Some displays are quite grand. Others have tiny details you don’t want to miss. When I first saw this display, I wondered at the “fans” sticking to the “posts.” It wasn’t until I stepped back and saw the giant’s face that I got it. Clearly, the little girls pictured in this photo didn’t need the same time that I did to appreciate this display. As you go through the garden displays, you’ll see works of art tucked in here and there. Some, like the Chihuly chandelier above the entrance, are hard to miss. Others, though, are tucked into the gardens among the plants. 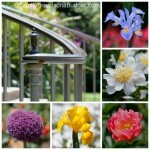 All these art pieces enhance the beauty of the garden space. If you take your time, they’ll bring a smile to your face. Remember to get a souvenir of your visit! One of the newest gardens happens to be among my favorites, Tropical Forest Cuba. As you might guess, this garden features the plants of Cuba. But, you can also learn how to rumba, take your photo in front of a 1949 Chevrolet Fleetline — a typical car for the streets of Havana, and explore other aspects of traditional Cuban life. My favorite plant in the exhibit was the Old Man Palm which looks like it’s wearing a bushy beard. It’s native only to Cuba and is endangered. It’s an adorable tree that brought a smile to my face. If you’re into energy savings, take a break on one of the park benches and check out the “air conditioning” that comes from below. This stunning, 60′ tall room, is completely cooled through vents in the roof (ceiling) and pipes that blow air cooled in underground pipes to vents under the benches. It’s a marvel of convection currents — science in action! 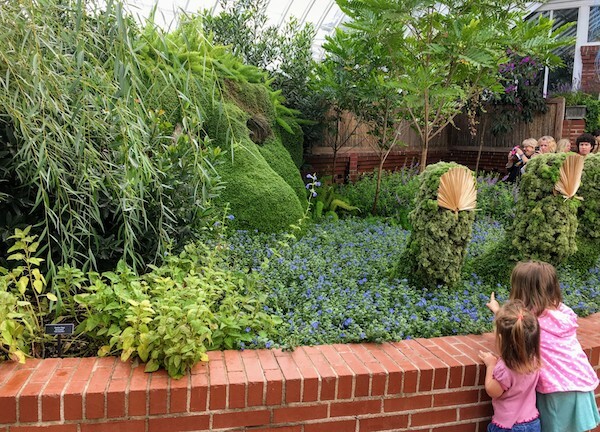 The Gallery Room, an uncrowded space with wall gardens offers indoor fun for young kids year-round. A farmer’s market set up and play kitchen let kids engage in imaginative play in this bright, colorful space. When visiting with grandparents or babies, this is a great space to take a break while kids use their creative energy. Of course, they have even more fun when their adults play too! 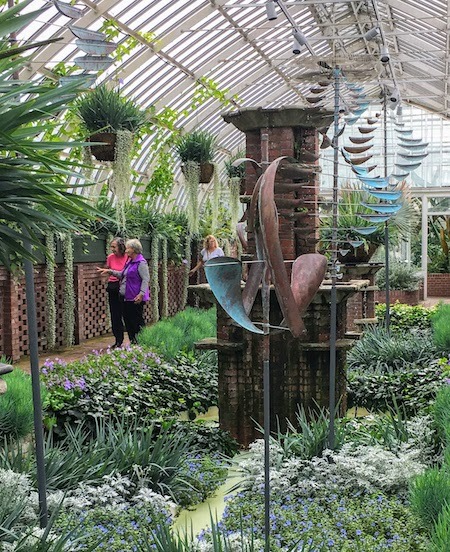 Perhaps my favorite room at the Conservatory, the Sunken Garden features wind powered art, hanging baskets and a soothing color palette. Soft music adds to the sensory wonder of this space. If I could visit regularly, I’d escape here to read a book! Have you ever wondered where vanilla comes from? Or what cinnamon looks like before it gets ground up to fill a jar? This is the room for you — a treat for the eyes and the nose. Learn about tropical fruits and spices while enjoying the sweet fragrance of this special space. I’ve just highlighted a few. There are many more areas to explore, so take your time! Activities at the botanical garden change throughout the year. During my visit, they were wrapping up the summer program, “Gardens of Sound & Motion.” The fall theme, “Fall Flower Show: 125 Years of Wonder” takes guests on a historical journey through the conservatory’s first 125 years. The fall program highlights some of the most beloved moments from the conservatory’s 125 year history. Of course, the chrysanthemums will make a colorful show, as well, accenting the featured displays. The newly restored Palm Court with its brand new glass ceiling will be on display as well. Throughout the week, Phipps offers Discovery Programs for young museum visitors. Set activities include Make-a-Craft Mondays, Story Time Wednesdays and Pot-a-Plant Fridays. All activities are scheduled from 10:30 a.m. to Noon and are included with regular admission. 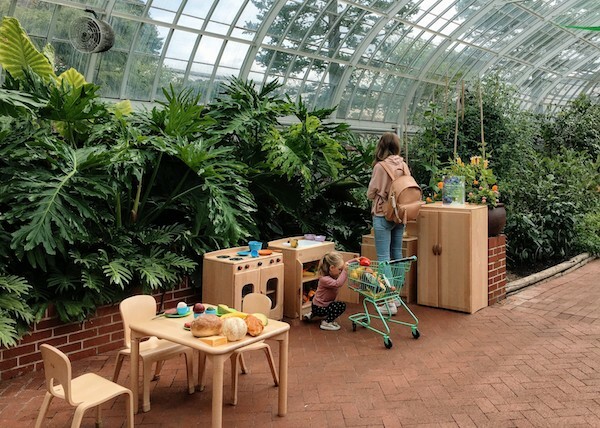 Discovery Stations are set up throughout the gardens, as well. While geared toward kids, adults are welcome to explore, too. We learned about the cacao bean during our visit — much easier than a flight to Central America! Throughout the year, Phipps offers seasonal programs and special events. Some, like Family Fitness programs in partnership with Let’s Move Pittsburgh, are geared to families and offered regularly. Others, like Party in the Tropics (November 2), are offered for adults ages 21+ and also included with regular admission. Other events require separate admission. This winter, the conservatory offers three days of Poinsettias and Pointe Shoes, a collaboration with the Pittsburgh Ballet, featuring vignettes from The Nutcracker. What a fun way to welcome the holiday season! The Conservatory also offers a variety of separate classes and programs for adults and kids. 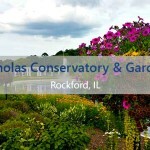 These classes teach horticulture, landscape design, culinary arts and much more. Pre-register at the Phipps website. A fee is included for these sessions. Click here for current ticket prices and operating hours. In general, Phipps is open daily throughout the week, with extended hours on Fridays. Discount tickets are available for groups. Phipps also participates in RADical Days, offering free admission for all on certain days each year. The gardens are more crowded these days, but not too crowded. We visited on a RAD free day and had no trouble seeing everything. Also check Groupon and Visit Pittsburgh, both which offer coupons from time to time. To avoid the crowds, they recommend that you visit on Monday or Tuesday as those days are least crowded. Or, try to visit weekdays between 3 and 5 p.m. when the Conservatory gardens are less crowded. Weekends are always crowded at Phipps. Free parking is available to conservatory guests at the center island on Schenley Drive. 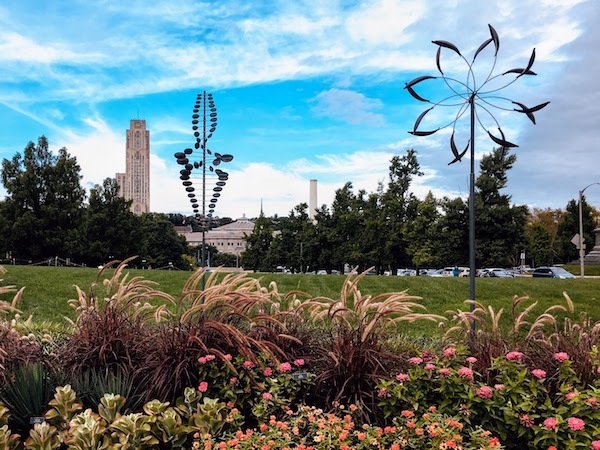 Metered street parking available on either side of Schenley Drive, and is free after 6 p.m. Monday – Saturday and all day on Sundays. Accessible parking is available near the Conservatory’s front entrance, running parallel to the bike lane. Wheelchairs and strollers can navigate the entire conservatory EXCEPT FOR the Stove Room, which is also known as the butterfly garden. The floor in this room has a steep slope and the floor is generally damp, which makes it unsafe for wheelchairs and strollers. Outside food is not allowed at Phipps. Café Phipps, located next to the ticket window, offers a variety of dishes many of which are made with fruits, vegetables and herbs grown onsite. The café offers a wide menu including a grab and go snack menu, coffee, tea and full service lunch menu. You can visit the café without purchasing admission to the botanical garden. A trip to Phipps is likely to inspire you to garden more, cook with fresh herbs or add a pop of color to your home. The Shop at Phipps is located across from the ticket window. It offers a variety of home decor and gift items, many featuring local artists. 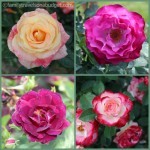 If you can’t get to Phipps, shop online. The store is open year-round and you don’t need a museum ticket to enter. 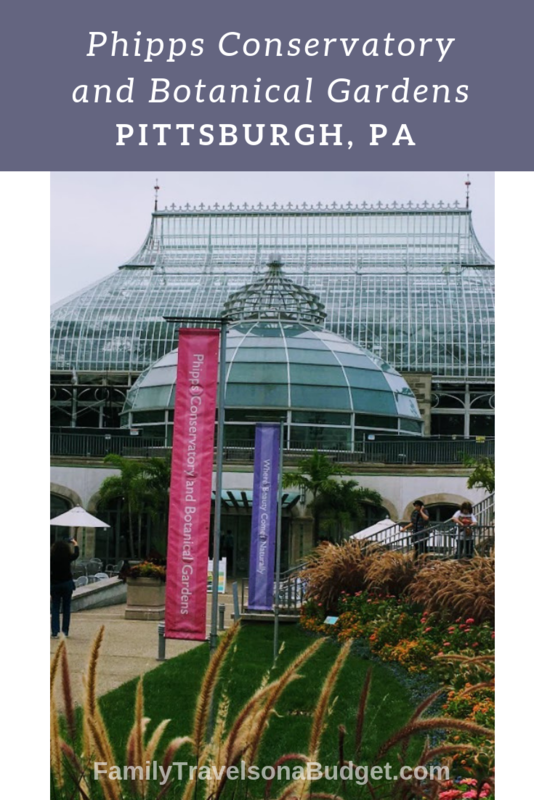 I visited Phipps Conservatory and Botanical Gardens on a hosted trip to Pittsburgh. All opinions are my own.